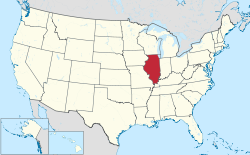 Illinois is a state located in the Midwestern United States. 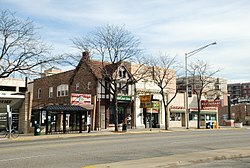 According to the 2010 United States Census, Illinois is the 5th most populous state with 12,831,549 inhabitants but the 24th largest by land area spanning 55,518.93 square miles (143,793.4 km2) of land. 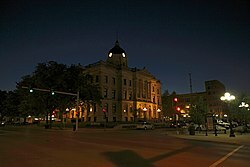 Illinois is divided into 102 counties and contains 1,299 incorporated municipalities consisting of cities, towns, and villages. This page was last edited on 28 December 2018, at 19:23 (UTC).